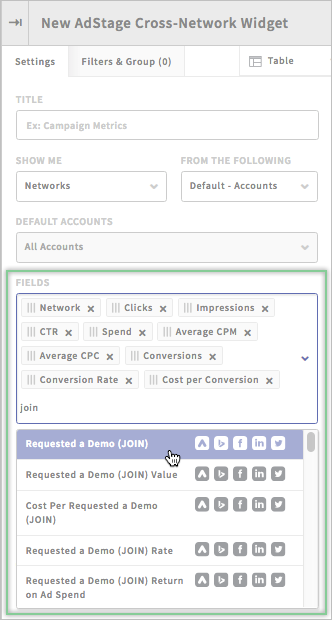 How do I use my Join custom conversion in Report and Automate? Once you've created a Join task for your custom conversion, the next step is to implement it in your Report dashboards and/or Automate tasks. 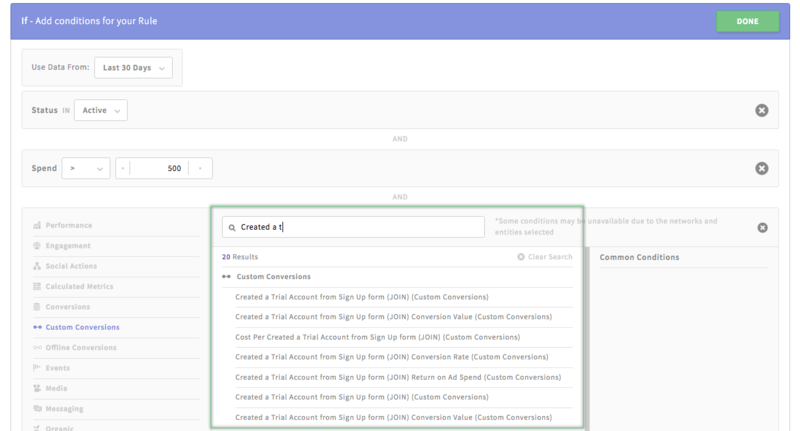 Find your newly joined custom conversion in your Report dashboards and Automate tasks by searching for the custom conversion by name in the Fields section of the any cross-network widgets in Report and the Conditions section in any Automate task.